What would be yours if you could master the art of any relationship? Imagine how at work, at home and during leisure, your life could transform as you master the art of relationships. In this lecture, Lisa takes the audience on a transformational journey as she explores the three relationships that matter most: with the self, with others, and with the Divine. Interrelated and inseparable, these fundamental relationships determine the quality and the measure of our emotional, tangible and spiritual lives. Drawing from historic traditions, spiritual and holistic thinkers, and personal insights, Lisa Oz guides the audience on an engaging, thought-provoking, and ultimately inspirational path toward changing yourself, mastering your relationships, and expanding your life. 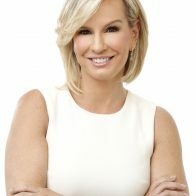 In this lecture, Lisa holds a mirror to her own relationships with Dr. Oz, her children and others allowing you to reflect on your own relationships. Informative and transformative, attendees walk away with new tools to become active, empowered agent for positive change in any relationship. The flagship book of the YOU series, which spawned three subsequent New York Times bestsellers, is now available to you in a lecture by Lisa. Between your full-length mirror and high school biology class, you probably think you know a lot about the human body. While it’s true that we live in an age when we’re as obsessed with our bodies as we are with celebrity hairstyles, the reality is that most of us know very little about what chugs, churns, and thumps throughout this miraculous, complex and artistic system of anatomy. When it comes to your longevity and quality of life, understanding your internal systems gives you the power, authority and ability to live a healthier, younger and better life. Welcome to your body. Why don’t you come on in and take a look around? Expanding on the life-extending program introduced in YOU: Staying Young, this program is designed to help you enjoy all the physical, mental and spiritual benefits that come from truly breathing easy. In this lecture, you’ll explore the science of stress and discover how to identify stressors and reduce their effects. You’ll also learn how to improve the significant portion of your life you spend sleeping, and why it’s so important to your overall health picture. Other tools and practices shared will enhance your breathing, help you relax, and de-stress your life. Lisa will lead you in a series of remarkable exercises and meditations that you’ll use again and again, including: deep breathing, breath awareness, guided meditation and stretching and relaxation. Whether you’re looking for stress reducing tips, just learning how to meditate or refining your technique, breathing and meditation are among your most powerful tools for repairing your body and fighting the effects of aging. 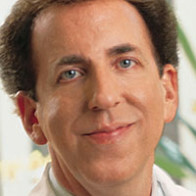 Lisa helps you make healthy breathing a habit for life with YOU: Breathing Easy. Lisa Oz’s Key Accomplishments Include . 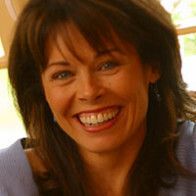 . .
Lisa Oz is an esteemed and respected authority on the subject of well-being and relationships. She’s an inspirational speaker who inspires and uplifts audiences worldwide. Lisa can be heard on The Lisa Oz Show on Oprah Radio and is featured frequently as a relationship expert on Good Day New York. 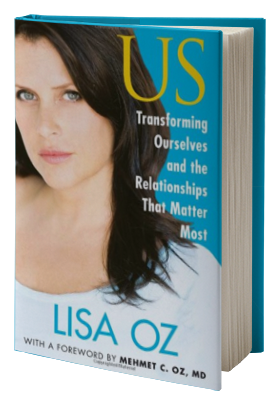 Lisa Oz has also been on the New York Times best-seller list six times for her books, US: Transforming Ourselves and the Relationships that Matter Most and the popular YOU: The Owner’s Manual series. She is President of Ozworks LLC, a media and investment consulting company that she founded, and is the director of a production company specializing in family friendly media. In addition, Lisa co-founded Health Corps, which is a leading non-profit dedicated to transforming America’s youth. More About Speaker, Lisa Oz . . .
Lisa Oz was born in Philadelphia and received her undergraduate degree from Bryn Mawr College. She also attended Columbia University’s Union Theological Seminary. 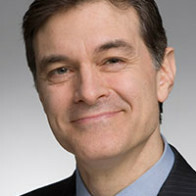 Lisa has been married to Dr. Mehmet Oz for over 25 years and together they have four children.